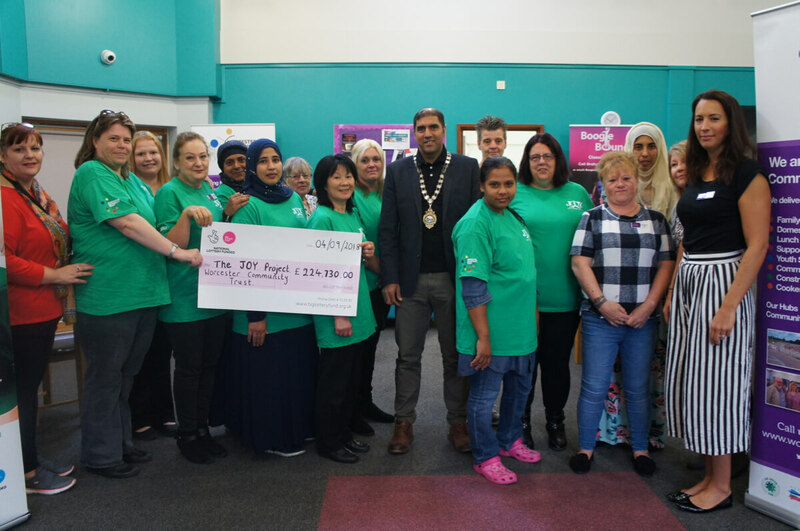 On Tuesday 4th September 2018 the Mayor of Worcester Jabba Riaz attended the Horizon Community Hub in Worcester to present a cheque for £224,730 supporting the Joy Project. 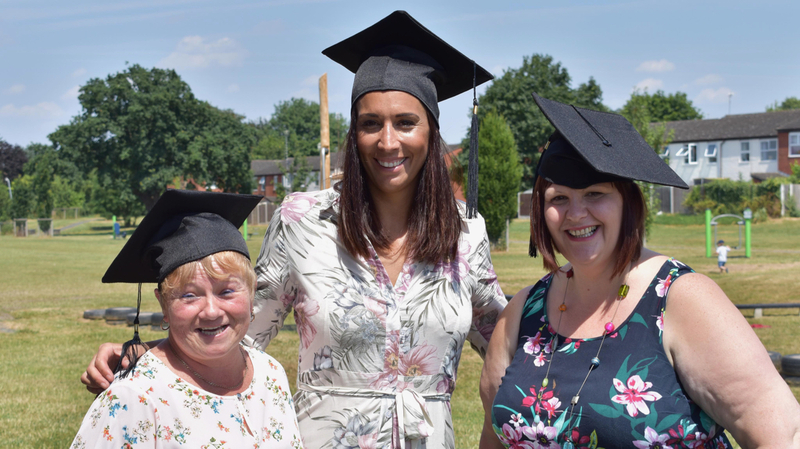 Thanks to this funding from the Reaching Communities, Big Lottery Fund, Worcester Community Trust will be able to offer a range of activities aimed at vulnerable women, including those experiencing domestic abuse through its JOY project. They will be able to enjoy educational courses on cookery, DIY, sewing, jewellery making, knitting and English and Maths. Women who benefit from the classes will be encouraged to share their skills and deliver their own sessions to the rest of the group. This will empower women, boosting their confidence, self-esteem and skills. 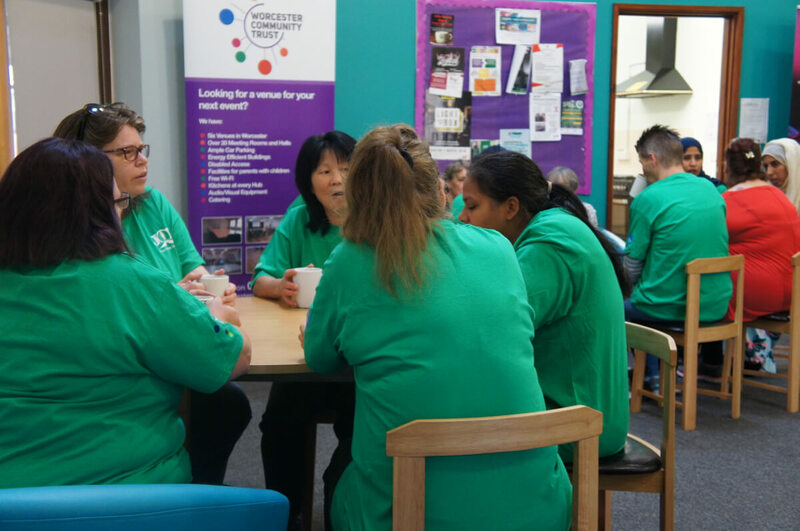 Faith Sanderson, CEO said “We are delighted that Worcester Community Trust has been given the opportunity to grow this fantastic project, which has supported and empowered hundreds of women across the City of Worcester. I would encourage any woman who is feeling like they need to connect, make friends, learn new skills or to just to take that next step in their journey to come along! Thank you to the Big Lottery team, the JOY staff, volunteers and supporters for making this work possible!”. 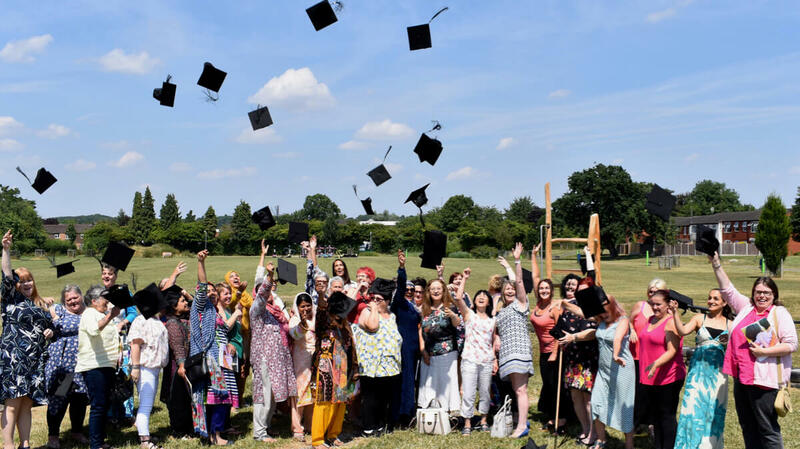 The JOY Project moved over from the ASHA Women’s Centre in 2017, which supports women in the areas of highest need in Worcester City and beyond, to access new skills, enhance confidence and empower to make their own informed decisions. JOY will continue to deliver a range of courses, based on what the women are asking for, in partnership with local providers including Worcestershire County Council Adult Learning, Heart of Worcester College and Action for Children. In addition to these courses like DIY, Sewing, and Parenting support, JOY will continue to offer 1-2-1 support for those who are facing challenges. JOY will also work with women to build skills and confidence to become long term volunteers and mentors for new women accessing the project. 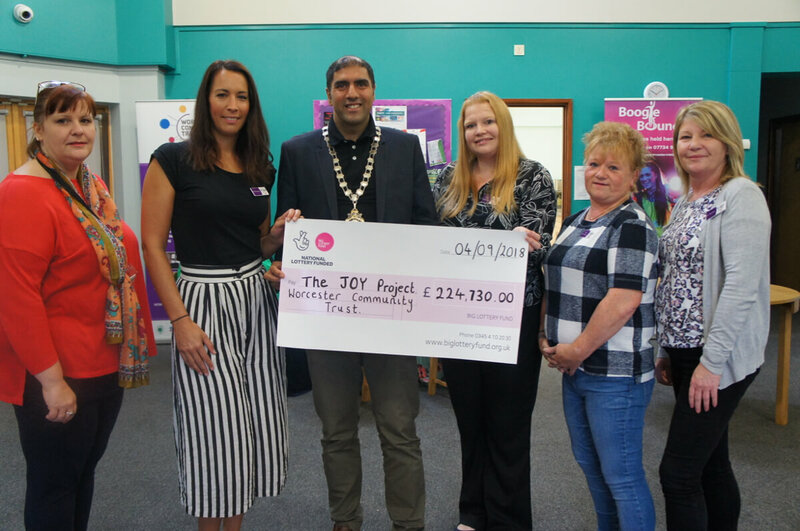 We will also be adding a new dimension to JOY moving into its third year of delivery, with additional support to women who are, or may have experienced domestic abuse in the past. Ruth Heywood, JOY Project Manager says, ‘We have identified a number of women who have experienced historic domestic abuse, which really impacts on their levels of self-confidence and social isolation. We will be working very closely with the DAWN Project, offering additional provision to women who need free, confidential and non-judgemental service. I would encourage any woman who is feeling like they need to connect, make friends, learn new skills or to just to take that next step in their journey to come along’. We would like to thank all players of the National Lottery without whom, this funding would not have been possible.